Above is a page from a book at the Georgia Archive. 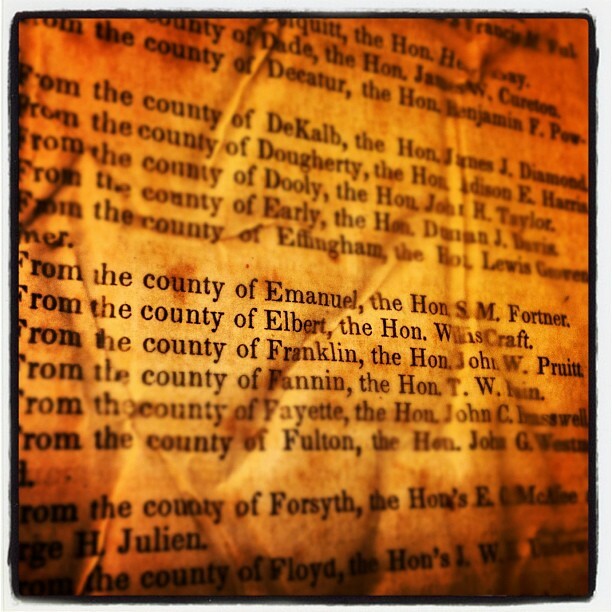 It is the 1857 Georgia State House Journal, which lists my 4x Great-Grandfather, Willis Craft, as House Representative for Elbert County, Georgia. My ancestors have been in Georgia since the mid 1700s and the Georgia Archive is filled with the records they left behind. I've made some amazing discoveries while flipping through books, browsing stacks and scrolling through microfilm. But it isn't just about me. The Archive is good for the state. I only have to drive an hour to get to the archive, but it does require me to top off my gas tank and buy lunch in the area. There are others who base vacations around their visit, staying at hotels, eating meals and visiting other attractions while in the area. And then consider businesses like professional researchers, scholars and teachers, lawyers, etc, who use the archive for their business. Their companies will suffer due to the lack of access. And that's not even mentioning the hard working employees of the Archive who will be loosing their jobs. 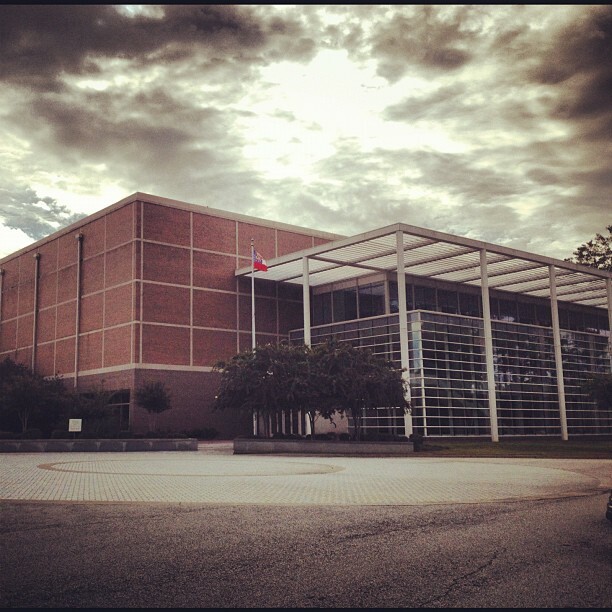 Closing the Georgia Archive will only punish the state and its citizens. And that's just the financial impact. What about the other consequences? The Archive also serves as an inspiration and a symbol. It's amazing that these historical records have been maintained. It says a lot about our state and country that we value our past so much and that we understand that value. These records are priceless. And we're about to lock them away, maintaining only the legally required access. What message does this send to future generations? Lock up the history, it doesn't matter. The Archive is run by the Secretary of State, abbreviated SOS. Pretty appropriate, huh? Our SOS, Brain Kemp, says that he "will fight during this legislative session to have this cut restored so the people will have a place to meet, research, and review the historical records of Georgia." We must all do our part to let our government know how strongly we feel about maintaining access to the Georgia Archive. Sign the petition, join the facebook group, and contact the governor, the sos and your local representatives today.